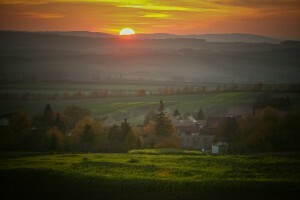 The WEINRIEDER estate is situated in the centre of the Weinviertel region, which comprises an area of app. 16.000 hectares of vineyards, making it the largest and most interesting wine growing area in Austria. Its situation on prime south- and south-west-facing hillsides and the loam soil ideally suited for wine growing are the basic conditions for high quality wines. 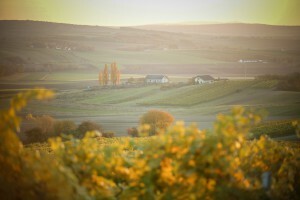 With approximately 20 acres extending from the best south and southwest facing sites, the Family Estate is growing Grüner Veltliner, Riesling, Weissburgunder, Chardonnay in the northern most winegrowing region. 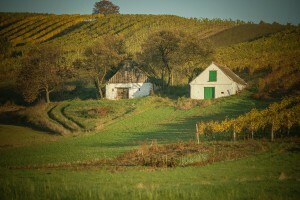 The single vineyards Birthal, Kugler, Schneiderberg, Hohenleiten, and Bockgärten have long become synonymous with highest quality. Being this far north, there is immense focus on the entire growing cycle and really pushing the extremes in terms of harvest while preserving the quality of the fruit. The wines embody an incredible fidelity in terms of showing vintage instead of relying on adjustments or trends. The predominately loess and loam soils impart minerality to compliment the characteristic “pepper” spiciness found throughout the region. Early and consistent work in the vineyards, including an extremely rigorous green harvest, promotes thick skinned able to withstand a long hang time. 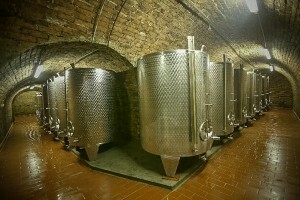 The equipment in the cellar is relatively simple and straightforward. Here you will find no fancy technology, just well manicured stainless steel tanks for long cool fermentations. In addition to a preferring a long fermentation, extended lees contact is paramount. Most important though is the timing and the careful execution of the harvest. Being this far North requires a great deal of calm confidence.